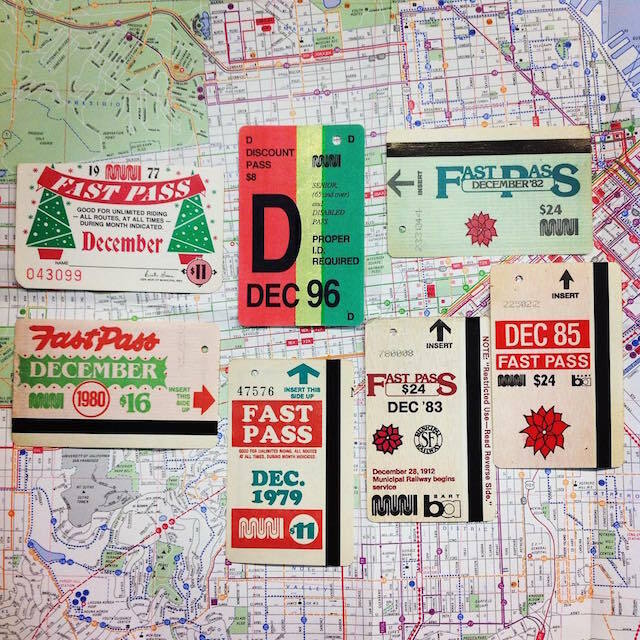 As we head into Festivus Christmas, we’d like to share a recent Instagram from the SF Public Library, showing a variety of holiday-themed Fast Passes from the past. Past Fast Passes. 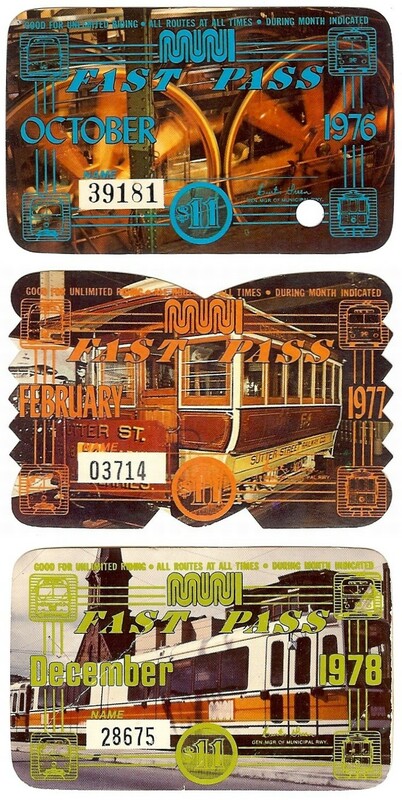 For those too young to remember, Muni used to issue monthly paper passes that you had to take out of your wallet and show your operator to be allowed on board. We had to climb uphill in the snow (BOTH WAYS!) to get to school, also. Seen in the image above, Fast Passes for December of 1977, 1979, 1980, 1982, 1983, 1985, and 1996. Muni is celebrating its rich history with the 4th annual Muni Heritage Weekend, kicking off at Market Street Railway Museum at 870 Market St. at 10 a.m. this Saturday. You’ll get to ride some very historic vintage cars, like street car No. 1, as seen above in the 1980s. Muni will run three historic buses during the heritage weekend, including a 1950 trolley coach and buses from 1969 and 1975. The SFMTA says that this year the vintage buses will perform double duty as “galleries on wheels.” When you board one of these vintage buses, you’ll see historic photos from the SFMTA archives, some of which have never been seen publicly before. The SFMTA photo archive is really a rare gem and I highly recommend it to anyone who loves history, San Francisco, and great photography. They’re on Instagram too (@sfmtaphoto). Five historic streetcars rarely in operation will run between the Ferry Building and Pier 39. Ride Streetcars No. 1, 130, 228, 496 and 578 for free along the short Embarcadero route. For some trips, Streetcars No. 1 and 130 may run the full F Market & Wharves route. The heritage weekend is a part of Muni Forward, which will bring new vehicles and increased frequency to Muni services. 1920-1930 Muni maps: there’s even an instance of “Muny” as an actual acronym! Ken Schmier is the man who came up with the concept of the Fast Pass. He’s also the mind behind NextBus. Strange, right? But also, not. This happened around 37 years ago, to the best of our knowledge. 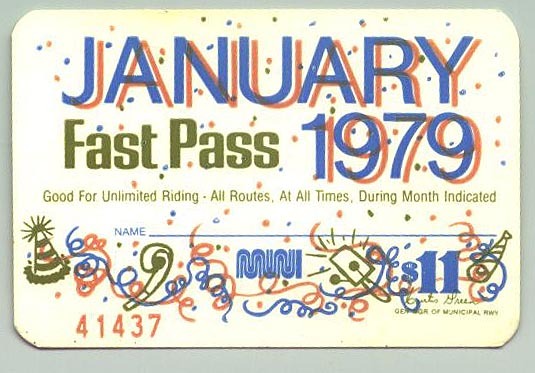 The first passes went on sale sometime in 1974. The earliest we could find an image of (below) is October 1976. In a blog post from Chronicle Books, designers for the book publisher lamented the lameness of the Clipper Card look, and paid homage to the beauty of the paper pass. 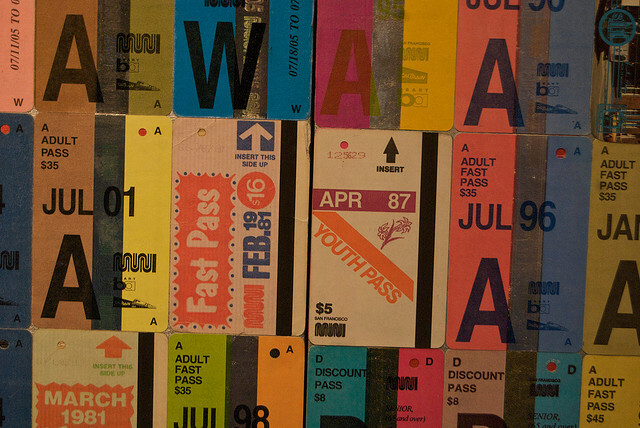 In 2009, local artist John Kuzich opened his Fast Pass exhibit at the de Young Museum. Kuzich asked for people’s passes on Craigslist, then assembled them on panels in really interesting and beautiful ways. 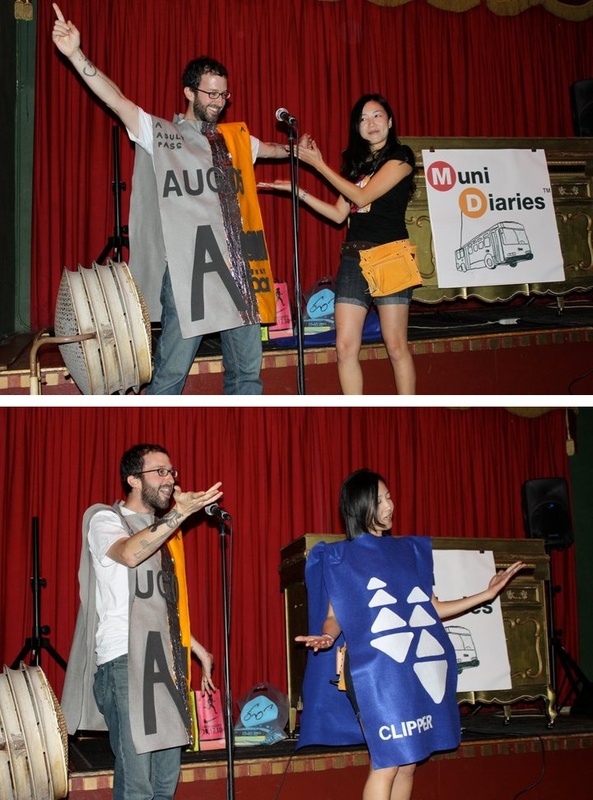 We’ve come across our fair share of people who totally adore all things Muni over the years. 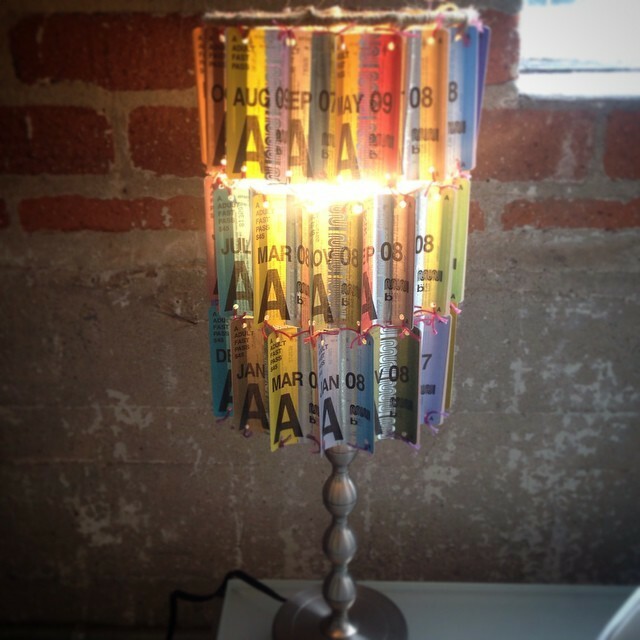 We’re basically no longer surprised to see such folks expressing that emotion in real-world things like a lamp made of Muni Fast Passes. Just another notch in the San Francisco Is Awesome and Muni Is a Big Part of That belt. And that’s a mighty big belt. Other expressions of Muni love we’ve seen include a Muni rug, Muni transfer art, a Fast Pass sofa pillow, and of course, no San Francisco home would be complete without a Muni toilet seat. You guys are the best. You knew that, right? Do you know the origin story of Forest Hill Station? Forest Hill Station was opened in 1918. It began thanks to the former mayor of San Francisco, Aldoph Sutro, who owned real estate all over the city. Twelve years after his death, A.S. Baldwin, a real estate agent from Baldwin & Howell, was hired to allocate Sutro’s real estate assets. At the time, the Forest Hill area of San Francisco was underutilized, with space composed of sand dunes and grassy land; it was not a desired lot to purchase. But Baldwin, showing foresight, developed a corporation to buy the forest and then sell the land. Newell-Murdoch bought that land and then deeded 21 lots to the City of San Francisco for free, in order for the Forest Hill station to be built. Why? Because Newell-Murdoch was banking on Laguna Honda to be the next big development once a train was built to bring people there. And they were right. Interesting tidbit: scenes from Dirty Harry and Milk were shot in this station. If you like history as much as we do (see: Muni Time Capsule), you’ll enjoy browsing through OriginSF. 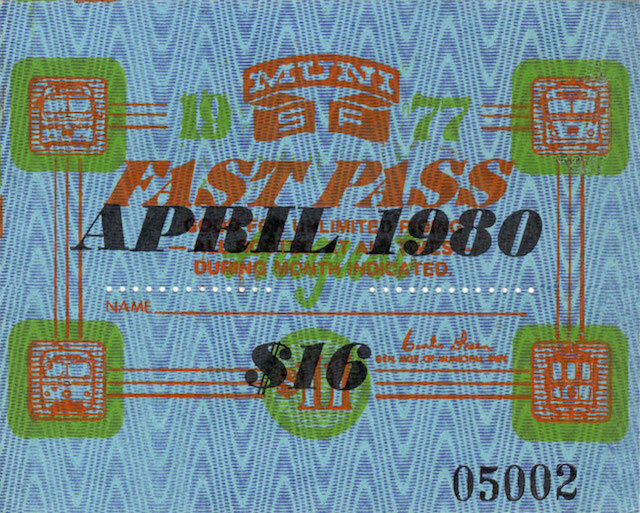 You might have read about the all-but-extinct Muni Fast Pass in your history classes. Maybe not. 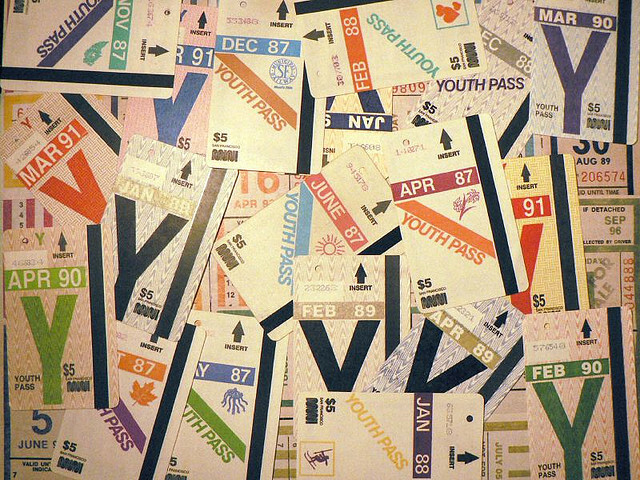 Maybe you’re old* enough to remember the once-fancy paper free-ride passes. Or maybe you’ve seen people dressed up as Fast Passes on stages in San Francisco. Whatever the case might be for you, John Kuzich has gone and made a website for those who miss the old colorful paper Fast Passes. We caught up with John after he alerted us to his new site. 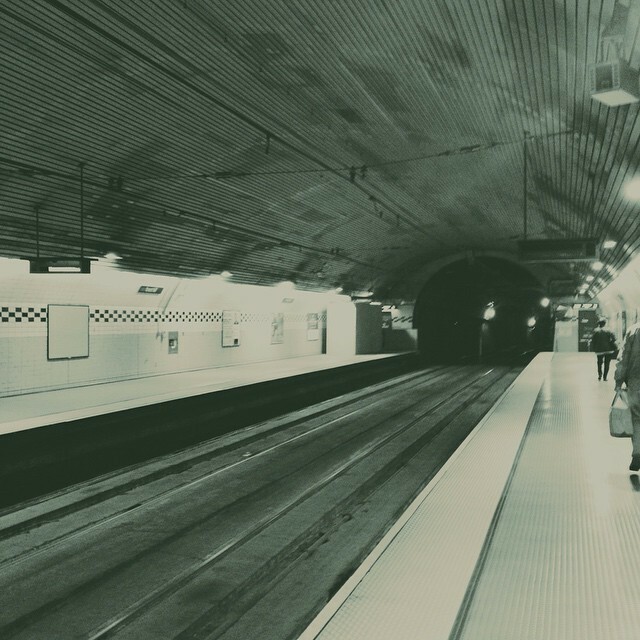 Muni Diaries: Can you tell us little about you and your background. Are you an SF native? John Kuzich: I’m from Detroit, Michigan. Took up fine art in high school and won the Regional and the National Scholastic Art Awards Competition with four gold medals and a scholarship. Trained to be a graphic designer in Los Angeles and came to the Bay Area in 1969 where I worked at a design studio before going out on my own and serviced clients like Del Monte/Chevron/SF Symphony, and many others. All design work from my 30-year career can be seen on my site called IN RETROSPECT. I’m retired now and began to devote my life to fine art in 1999. Basically my whole life has been about color and design. I see it everywhere and in everything and it makes for a rich life. I consider it a blessing.